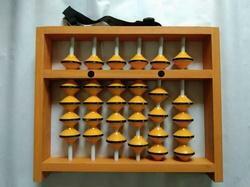 Offering you a complete choice of products which include 13 rod teacher abacus, 17 rod teacher abacus and demo abacus. 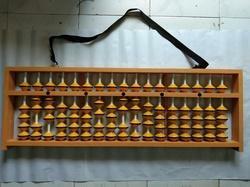 This Master Abacus is framed in Acrylic material for better finish and long-terms use compared to a wood based abacus. Its natural colour never fades with time keeping it new all the time of use. No trouble of regular expensive polishing. Its shape and size makes it presentable and right choice for the needs. It is a great modal and design, which can be used as gift or a memento at many occasions. 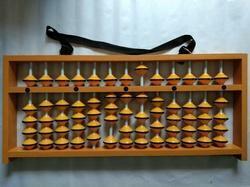 Many of small kids love to work on this kind of an abacus due its large sized beads for better visibility and ease of operation.